It is not every day that a new water is launched that is allowed to use the name of a previous English monarch on their water and yet that is what the Bosonnet family have achieved. They proudly presents King Henry VI English Spring Water, produced from its private estate, tucked away in beautiful countryside near the Centre of the Kingdom. It is a great honour that Buckingham Palace has allowed Bolton Hall to use the King’s name on their bottles. The Lancastrian King Henry VI retreated from the Yorkist army during the Wars of the Roses after his defeat at the Battle of Hexham in 1464. He lived at Bolton Hall for a year with the then Lord of the Manor and House of Lancaster adherent, Sir Ralph Pudsey whilst sheltering from his enemies. Henry was a pious and scholarly King; he founded Eton College and King’s College, Cambridge. King Henry’s legendary divining skills are said to be responsible for his discovering a Spring and founding a well at Bolton Hall. 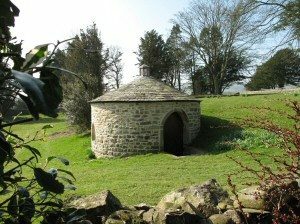 Legend has it that he discovered the Spring at Bolton Hall and commissioned a stone wall to surround the well. Now a Scheduled Ancient Monument, it features a bath-shaped receptacle built into the floor which makes it likely that it was used for bathing as well as drinking water. The deep water supply is purified through 300 million year old limestone coral reefs, known as carboniferous limestone. Filtered through the rocks, the water dissolves and absorbs vital minerals and micro-nutrients, it’s unique calcium bicarbonate composition is the perfect accompaniment to dining as it aids digestion. 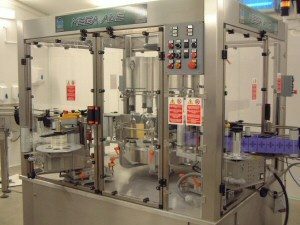 The water is bottled at source on the Bolton Hall Estate to the highest standards of hygiene and care, and extensive laboratory testing shows it has excellent drinking water properties. Presented in stylish glass bottles, KHVI still and sparkling Spring Water has ideal mineral content to aid digestion and the Divinely Sparkling version has a delicate fizz. From the inception of the business, the Bolton Hall Estate has been particularly mindful to minimise its impact on the environment. The main building for the offices and bottling plant has been created by converting a disused milking parlour on the Estate, using eco-friendly methods a nd materials, with an exceptionally high degree of insulation. As an alternative to breeze block a building material called Durisol has been used, which is made of recycled wood insulated with recycled vegetable material. Insulation in the walls and ceilings is recycled sheep’s wool and 80% of the wood used is reclaimed timber. All the lighting and power meet the latest low energy standards. A bottled water with close royal connections, in a plant closely designed around environmental considerations with a very high quality labelling presentation on an Enterprise Tondelli machine labeller. Truly a water fit for a King.